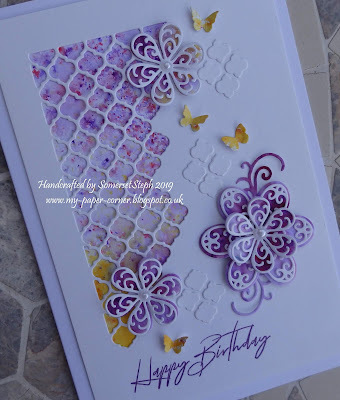 I was inspired by a recent craft magazine technique of "shape stamping" where you fill in a shape with small stamped images. 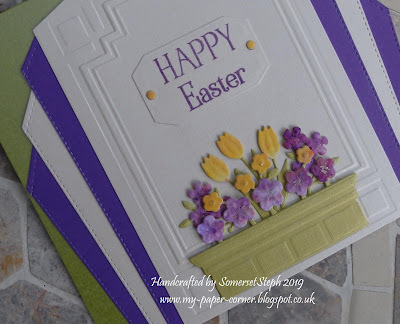 This card was created for a floral challenge over on docrafts where our host asked us to also include a building or part of one. 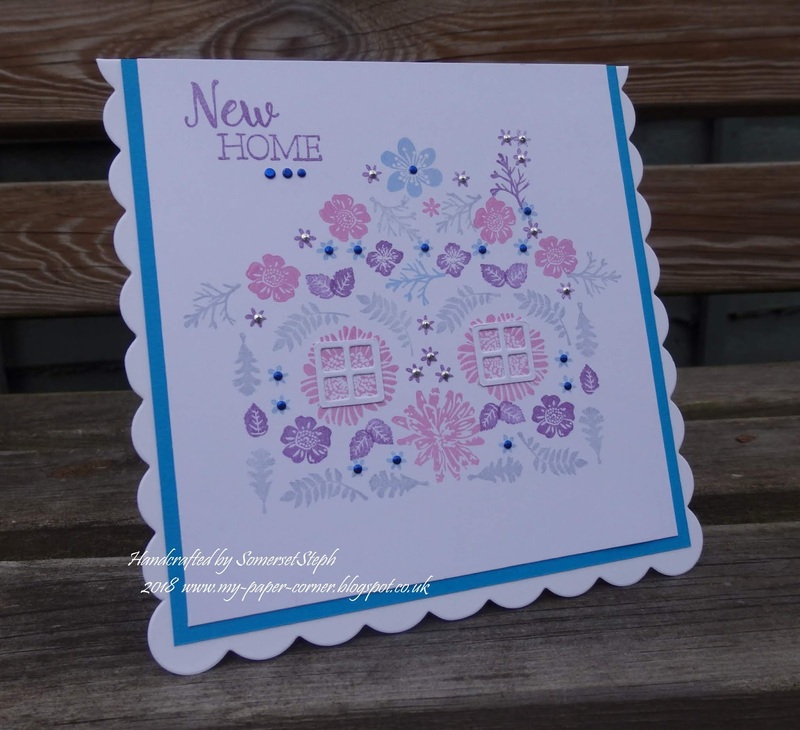 I went for an outline shape of a cottage and filled it with solid floral stamps. 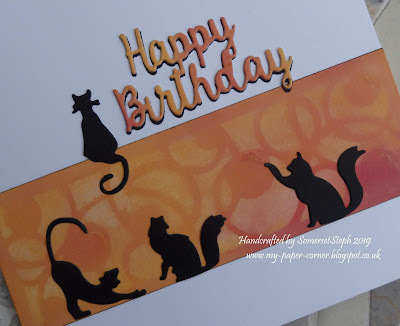 This technique also works well with small outline stamps that you can colour in with your own choice of medium. Don't you think the chimney is a little crooked though ... but then doesn't each cottage have their own unique characteristics ...! To add more interest I added two die cut window frames & dots in blue & silver to embellish the centres of all the little flowers ... oops just realised I've missed the little pink flower out. I might just be a little "OCD" but each time I use a die on another project I save the little dots (circles) for any future creation keeping them in a little self seal plastic bag.